the front was rather plain, so i gave it a bib, edged with bias. 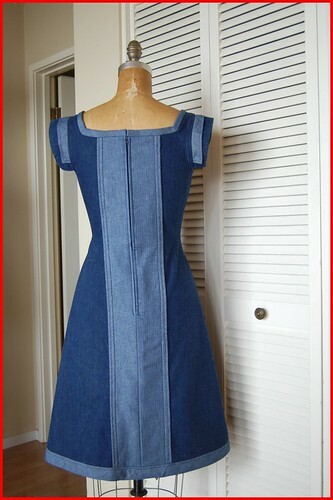 and used bias to edge the square neckline, hem, cap sleeves, and zipper placket on the back. the reason for the placket? 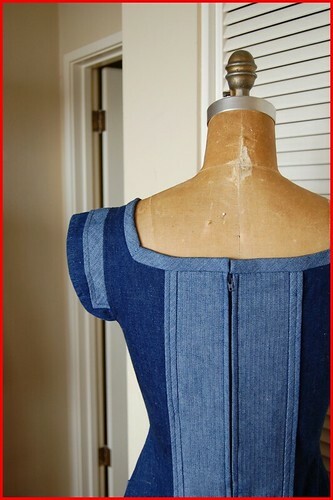 well, it was a hair too small, as i said, so i opened out the button plackets for more room, and the new placket covers up the button holes and gives the back some interest. 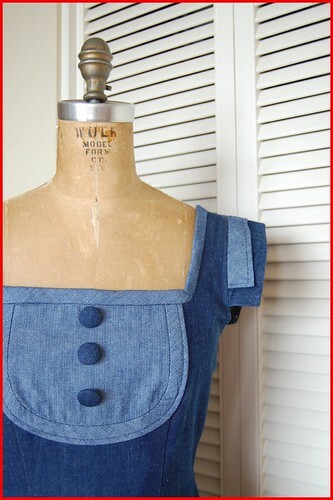 the buttons on the front are covered with a little of the fabric i cut off the hem before attaching the bias. 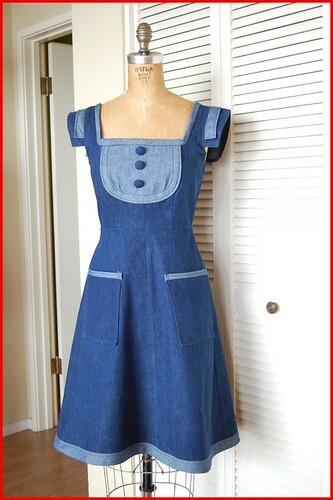 btw, all the extra contrasting fabric is a herringbone weave chambray type fabric i had in my stash already. it's not perfect, but it's a lot more fun than it was before. and it fits! i love this kind of work...taking something that's not quite right and making it more so. and if it doesn't work out, fine. but when it does...so wonderful, so satisfying.